Dynamic, security-focused SaaS and IoT company in Bethesda, MD seeks a DevOps Engineer to help us build amazing features for the next ten million users on our security-oriented IoT platform. With a 15+ year record of innovation and industry leadership, we are a self-sustaining high-growth company that develops both the software and connected device components of our service offering. Currently serving over 40,000 B2B clients worldwide with a significant push toward further international expansion. Your mission will be to lead one of the teams that designs and delivers the next generation of code and critical technologies that enable our vision. DevOps/Agile environment. 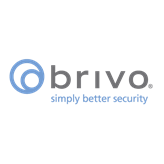 Brivo is the original innovator of cloud-based physical security solutions for commercial buildings. Currently serving over ten million users, Brivo offers a unified security platform including access control, mobile credentials, mobile administration, video surveillance, identity federation, visitor management, and elevator control. As a SaaS company, Brivo also offers an API-based platform that empowers partners to build custom integrations and vertical market offerings. Our mission is to make the world a safer place by providing a subscription-based service for securing buildings using reliable, convenient, scalable, cyber-hardened technology. Brivo is the original innovator of cloud-based physical security solutions for commercial buildings. Currently serving over ten million users, Brivo offers a unified security platform including access control, mobile credentials, mobile administration, video surveillance, identity federation, visitor management, and elevator control. As a SaaS company, Brivo also offers a complete API platform service that empowers partners to build custom integrations and vertical market offerings. Our mission is to make the world a safer place by providing a subscription-based service for securing buildings using reliable, convenient, scalable, cyber-hardened technology. Want to get notified about new jobs at Brivo Systems, LLC?